Our class is playing a game of Guess My Number with a class in Milan, Italy. Because we can’t use Skype (they are finished school for the day before we start), we are asking questions and answering them on Twitter. If you are on Twitter, can watch our game by searching for the hashtag #guessmynumber. 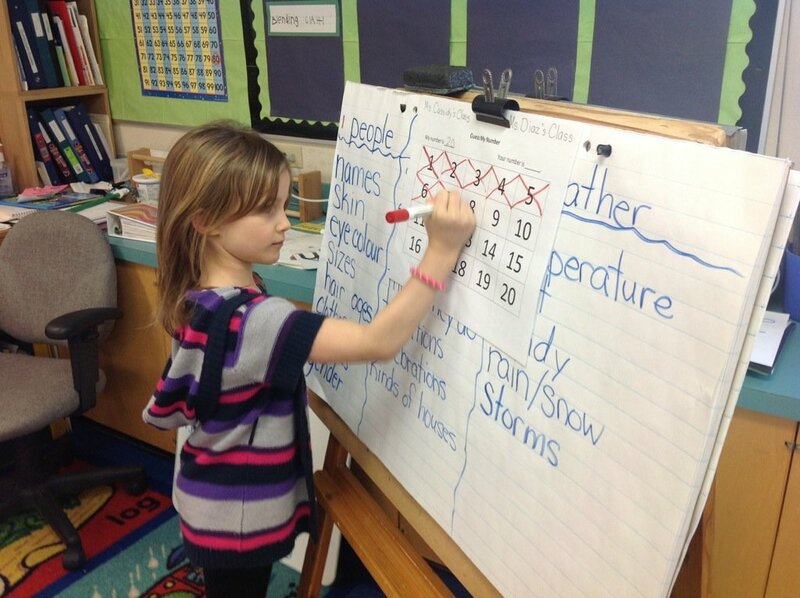 We are getting better at asking “fat” or “juicy” questions that help us to cross off several numbers at once.